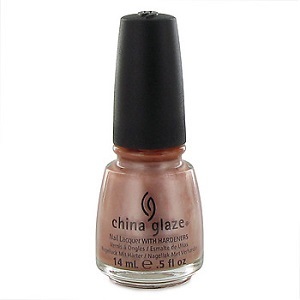 China Glaze Nail Polish, Camisole, 099, .50 fl. oz. Champagne beige frosted shimmer nail color with tan/cafe latte undertones.